Order in 20 Hours 47 minutes 40 seconds for dispatch tomorrow! I purchased this shirt for my partner after he had been very interested in it for a couple of years but couldn't find a decently priced seller in the US. After trying the Buffalo Shirt on myself, I can see why: It feels like you have enveloped yourself in a warm sheepskin that will protect you against all elements. It does a great job of keeping out the wind, and keeps you warm as long as you're moving a little bit, though it's probably worth getting the hood as well. He was extremely pleased with the gift and although he hasn't put it through a thorough hill walking test just yet, it will be utilized during a planned ascent of Mt. St. Helens in 2017. If you generate a lot of perspiration during the walk-up, a wicking base layer can dry your back and ease the wet inside the mountain shirt. Otherwise, wear it next to the skin. 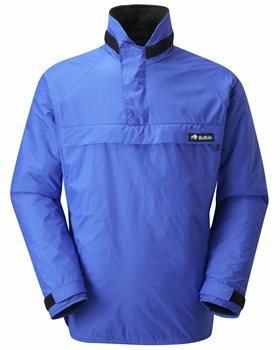 I've worn mine throughout the freezing winter and have neither needed nor worn any other jacket on bitter cold days or in near Arctic weather! Add cover only when you stop for lunch and remove it before restarting your walk. Highly recommended. I bought size 40 inch for neat fit, rather than normal 42.